Thanks for your support! 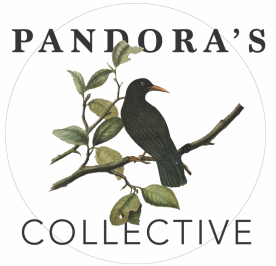 Donations will go toward the cost of Pandora's Collective programs, scholarships and outreach work within the community. ​Please us the PayPal buttom below or mail a cheque (made out to Pandora's Collective) to 5505 Main Street, Vancouver, BC, V5W 2S3. We can provide a tax receipt for donations of $25 or more. Items such as gift certificates, gift cards, gift baskets, journals, pens and paper, are a huge help to us! If you have items that you would like to donate (that can be used as performer's gifts, honorariums, or admin supplies) please contact blnish@pandorascollective.com. Thank you.